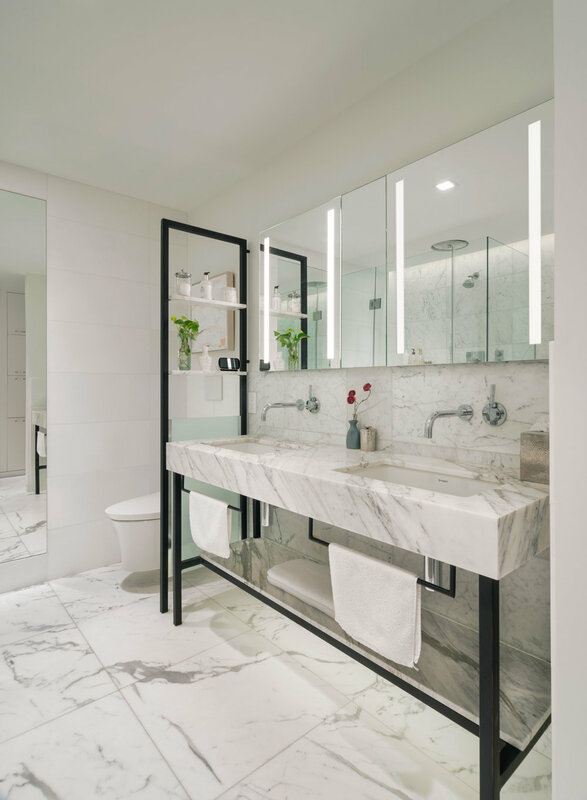 An apartment combined from two smaller units in an industrial-converted-to-residential building in New York City’s East Village presented an opportunity to create a large master bathroom and dressing space, atypical for a Manhattan apartment. The well-traveled owner enlisted architect Adi Gershoni to design a space with the feel of his favorite luxury hotel. 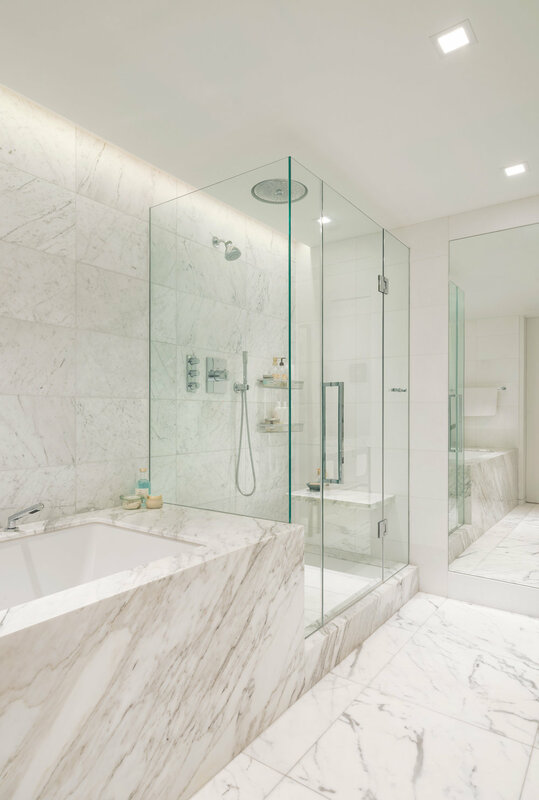 The highly detailed space and the choice of materials, including natural marble slabs and tile, concealed lighting and state-of-the-art plumbing fixtures, deliver this level of quality – and something more: As a custom, one-of-a-kind design, it retains an individuality and hominess that its inspiration lacks. In addition to the mirrored recessed medicine cabinets, storage is provided by a “pull-out tower,” which includes a pull-out laundry bin. Two sliding doors disappear into the wall to allow for clear openings and easy flow from the master bedroom. The walk-in closet/dressing room is designed as a high-end retail space, with concealed and track lighting to allow flexibility for illuminating and accenting areas like drawers, shoe shelves and specific garment-hanging areas. It includes a sliding mirror panel and a small stool.